Today was a romantic day. 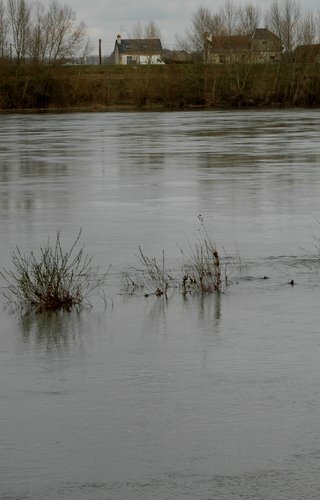 A soft rain was misting over the Loire, colouring the light to a translucent gray. It was a monochrome painting, a grisaille, an underpainting preparing the canvas for colour. Much like art. It was a day of tones and values. The shadows were deep, the lights were light, the air was soft, feathered. A day of dimension whithout hues. And so I took out the colour palette and started painting. A spattering of bright reds and luscious velvety burgundies, a drop of sensual translucent syrup. A dollop of stark white cream…a highlight…a shadow. Making food is preparing the canvas. Serving food is painting the canvas. Eating is appreciating the art. Next Article Cod with mushrooms and lingonberries, a Finnish experience. Beautiful colour and looks so delicious. YUM! That second paragraph reads like poetry–absolutely lovely! Oh, Ronelle the life that you are living makes me so envious! I love this breakfast, ut sadly I am the only one…..my family likes the old fry up! You are so creative Ronell – a cook, an artist, and a writer all at once! I love your recipe cards. oh fun. 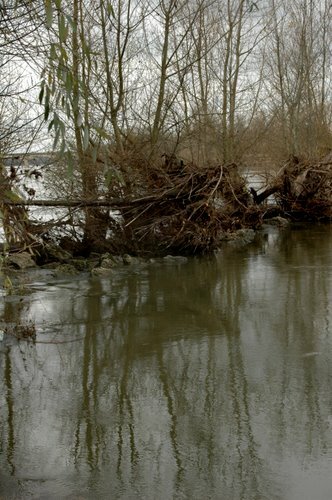 i just did a post on my eating in Loire… a similar fresh fruit warm dessert. You really are a multi-faceted artist – a real Renaissance woman! 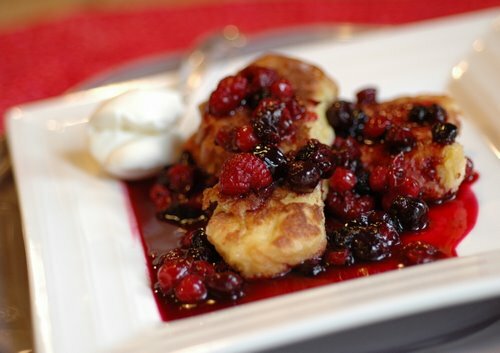 Love the look of that pain perdu – I don’t make it nearly often enough. 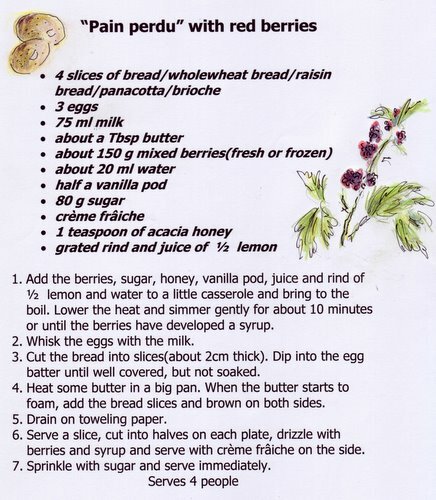 I made a fig version of this – I love pain perdu! What gorgeous, vibrant colors to contrast with a grey day. And what a delicious looking dessert!